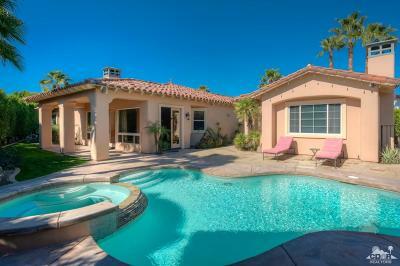 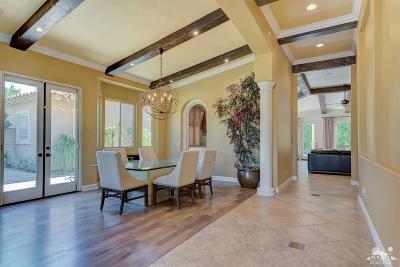 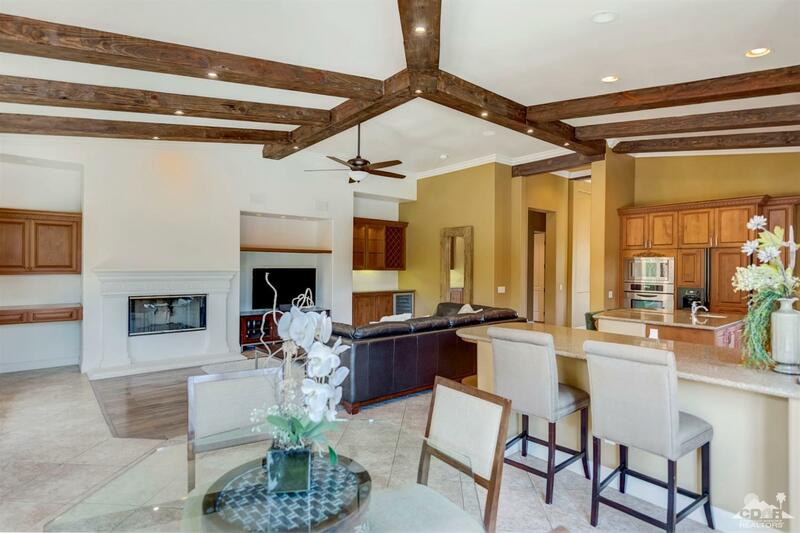 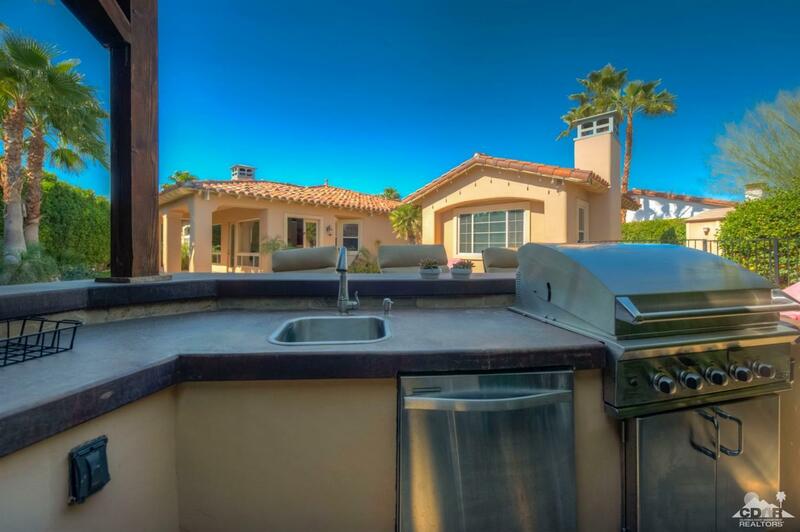 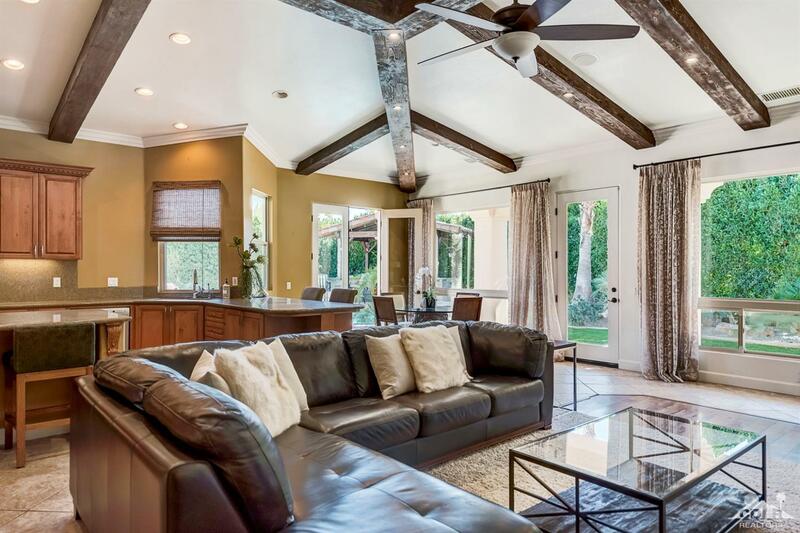 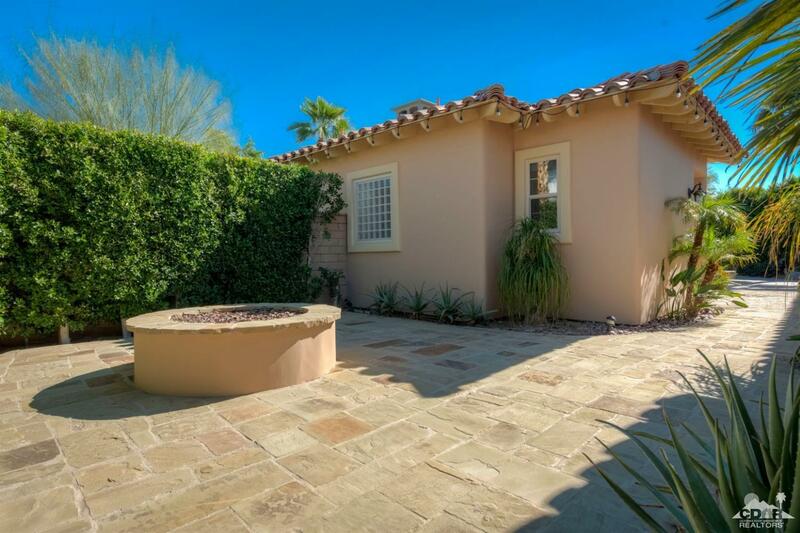 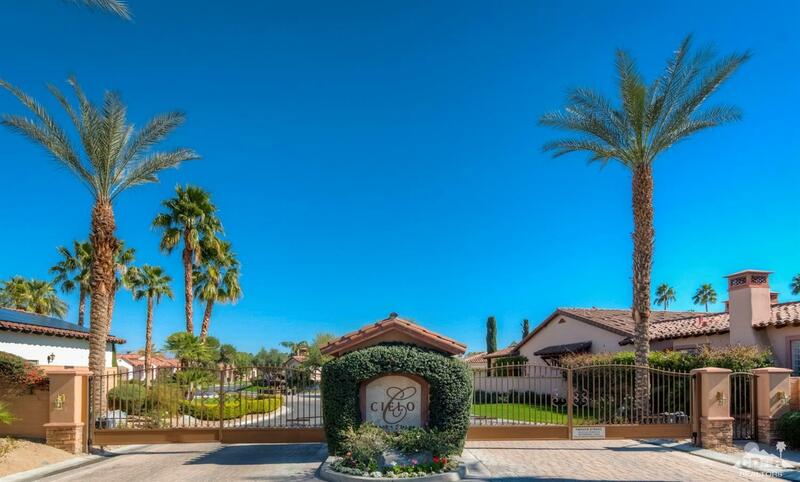 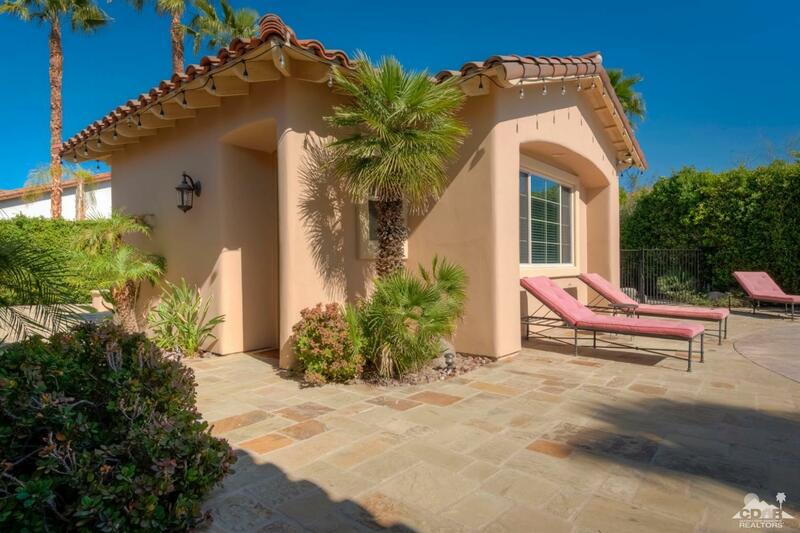 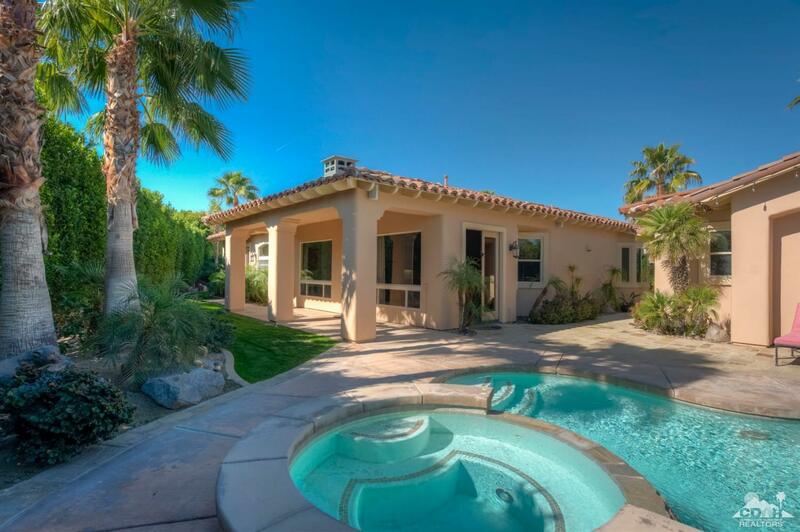 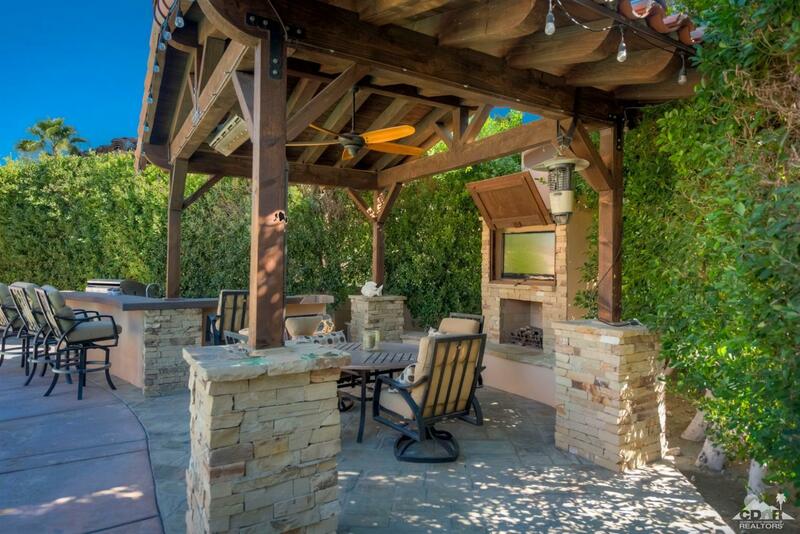 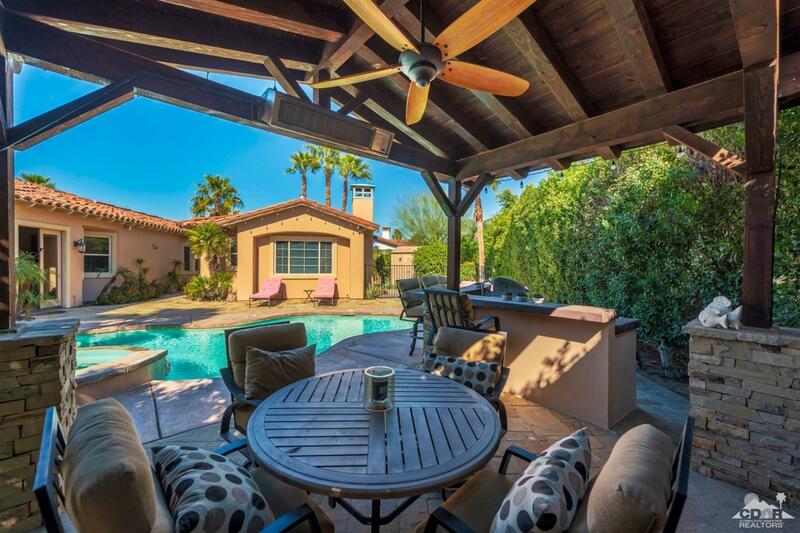 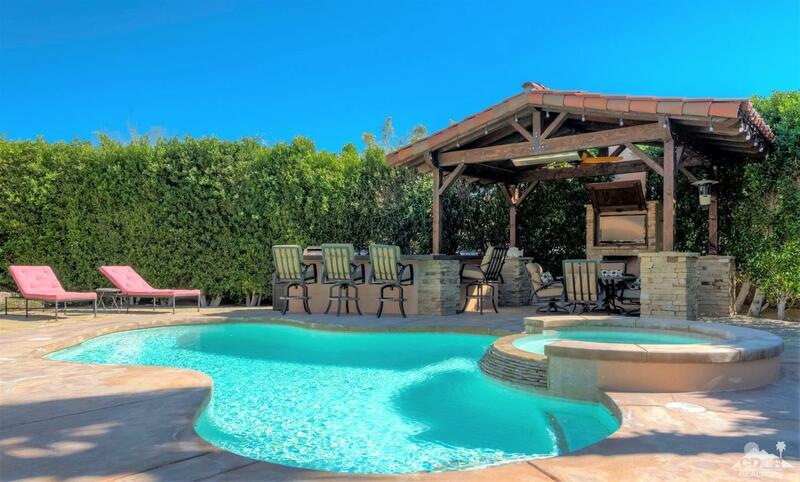 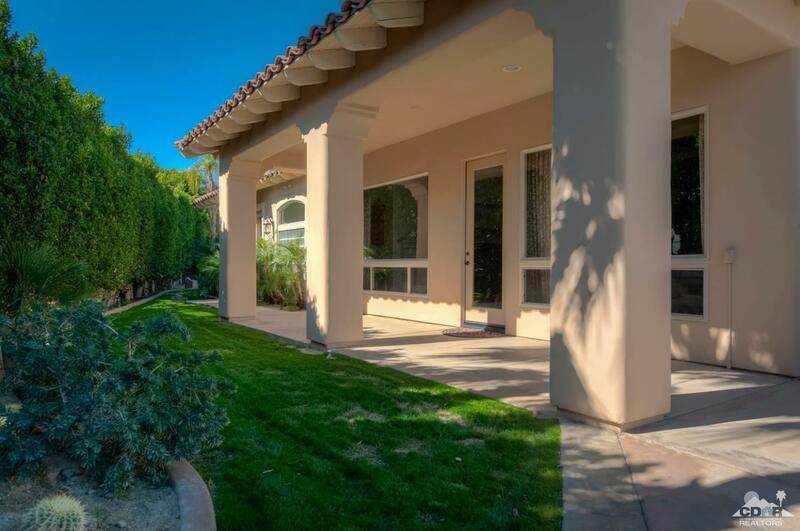 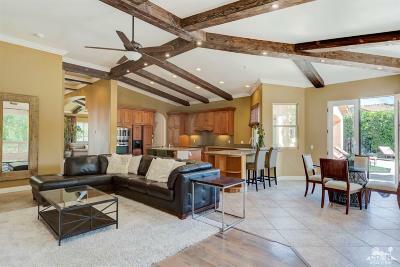 Welcome to Cielo a beautiful private gated community of 15 homes in Rancho Mirage. 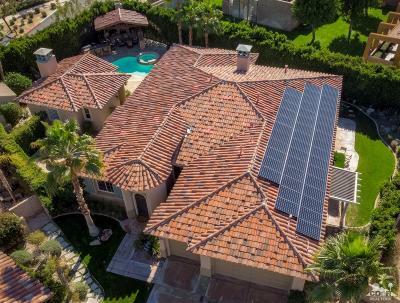 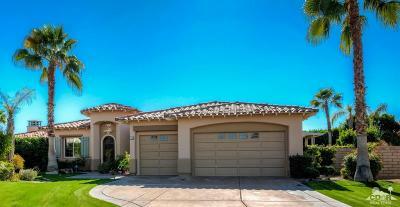 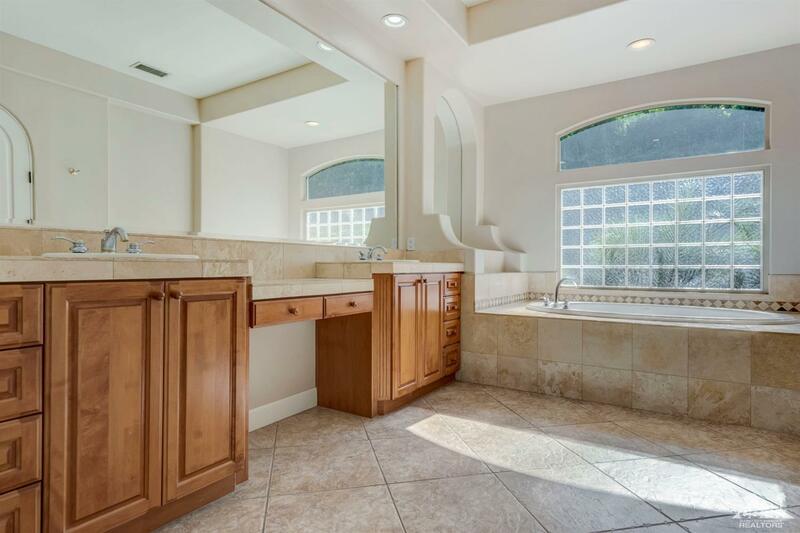 This highly upgraded 4BD 4BA including Solar and detached Casita with a three-car garage. 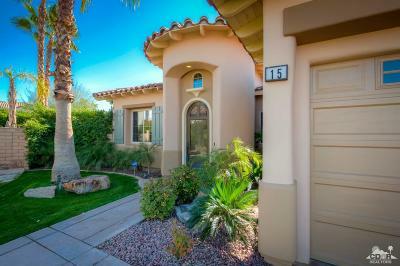 The home sits on one of the largest private lots at the end of a the cul-de-sac. 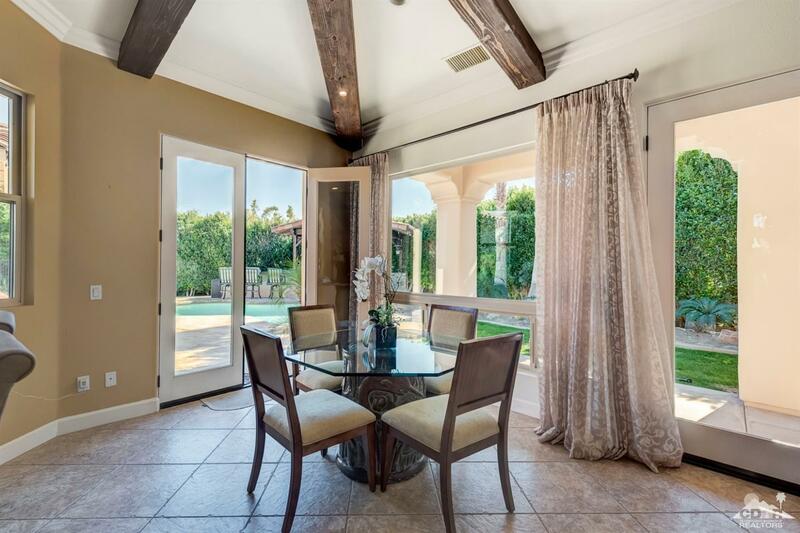 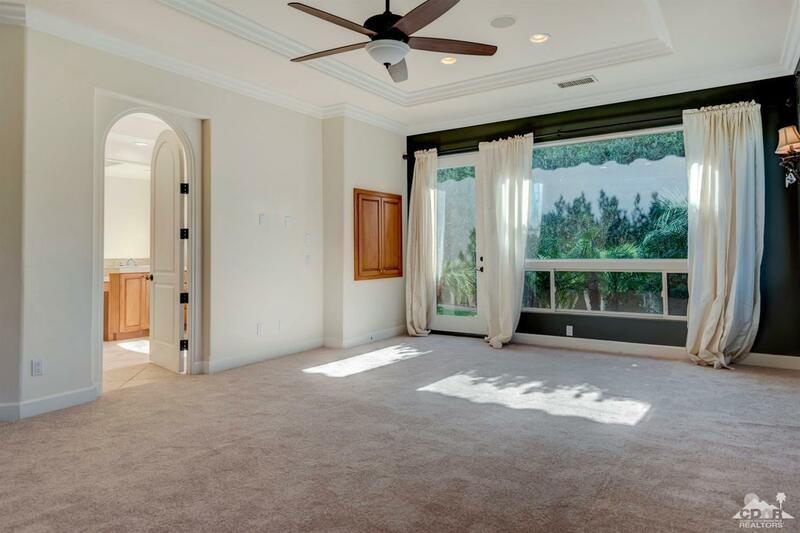 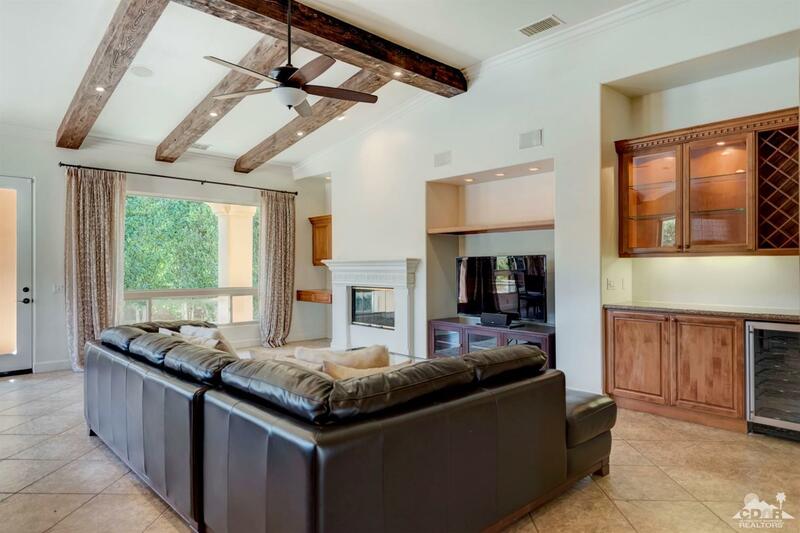 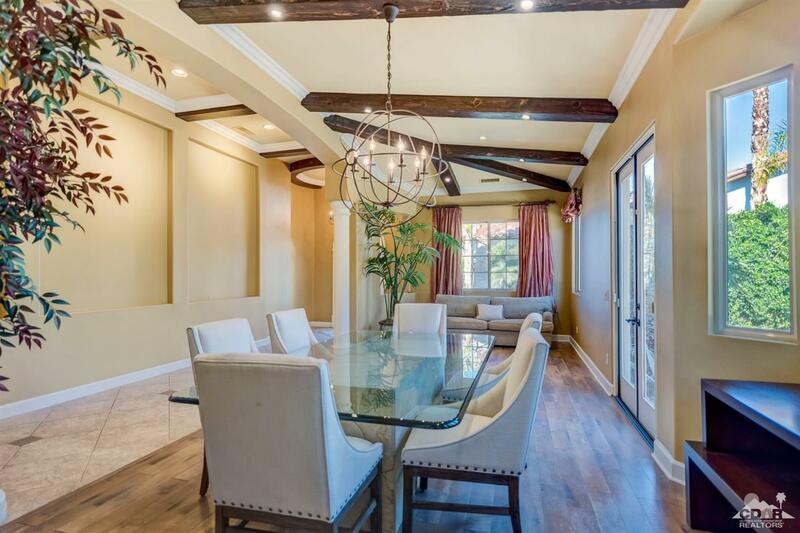 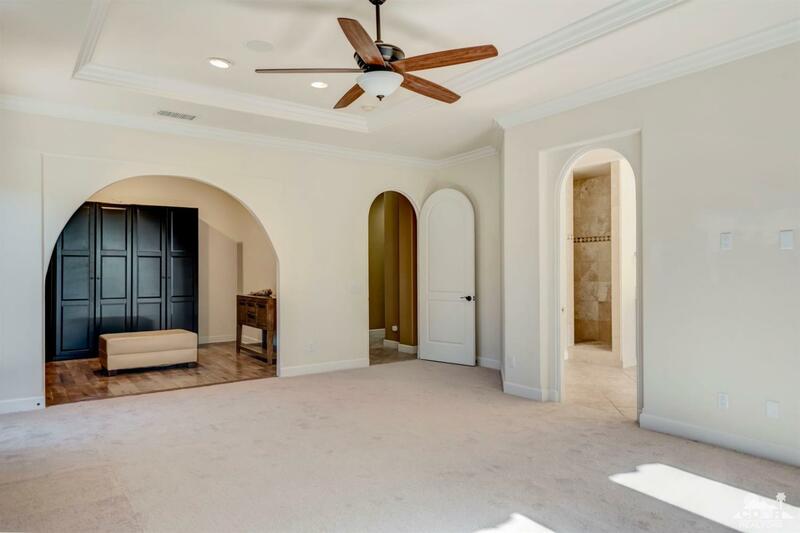 The formal living / dining room leads out to a large, private patio with fire pit. 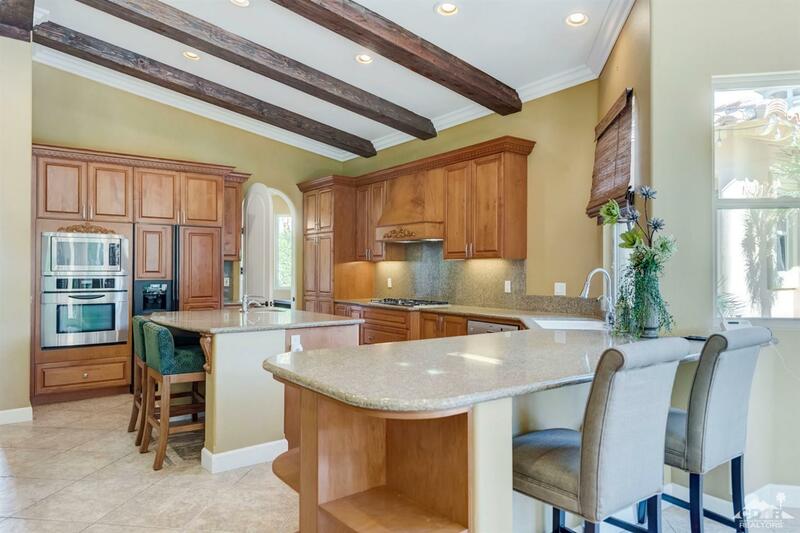 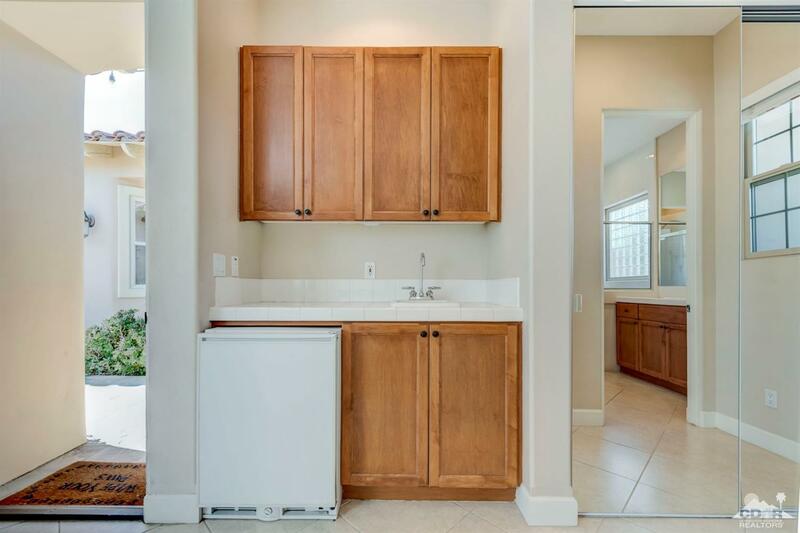 The amazing kitchen features upgraded appliances, custom cabinetry, slab granite counters and spacious center island. The great room includes an elegant fireplace, media niche, bar area with wine refrigerator. 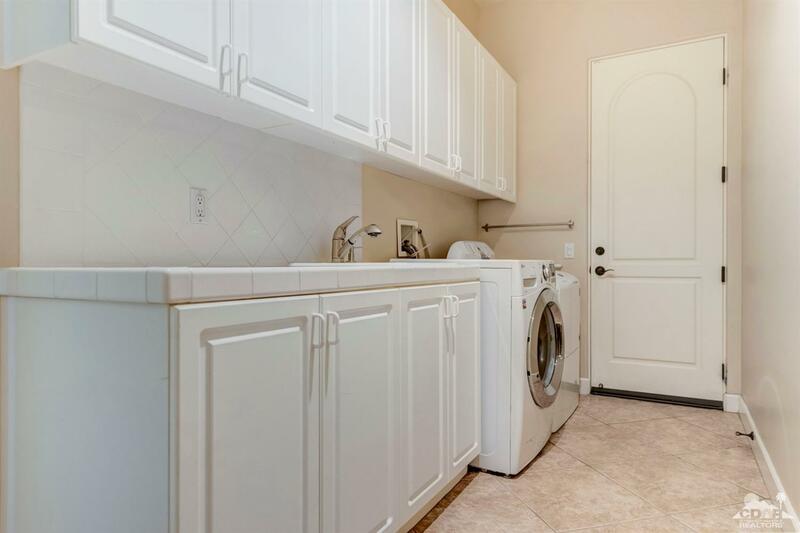 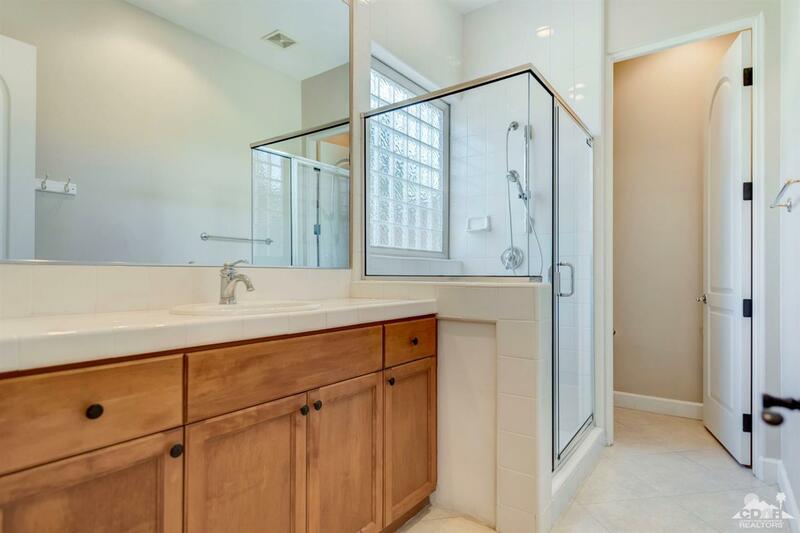 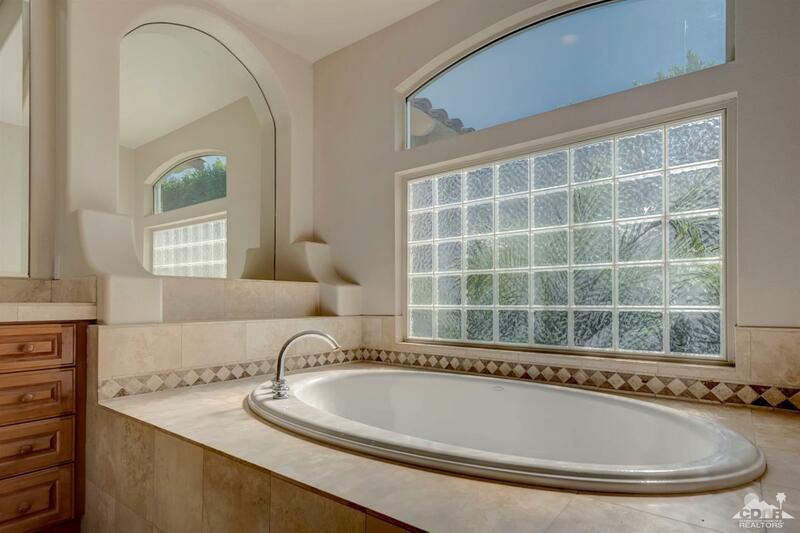 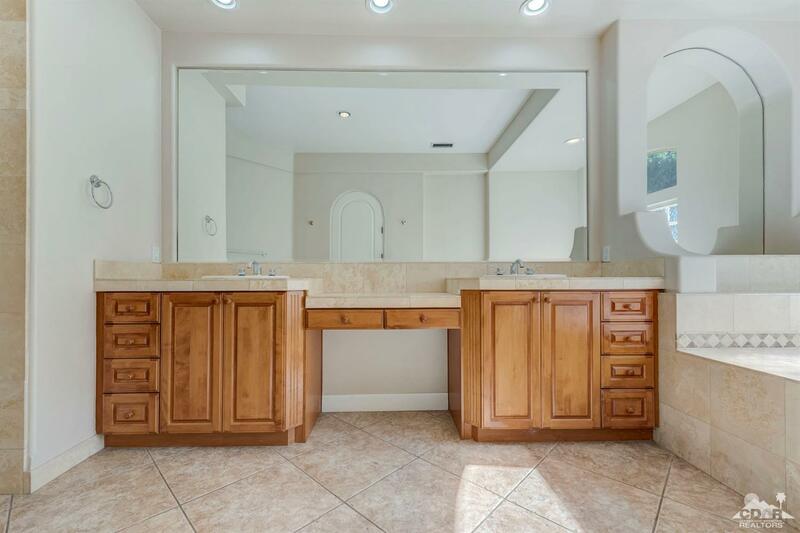 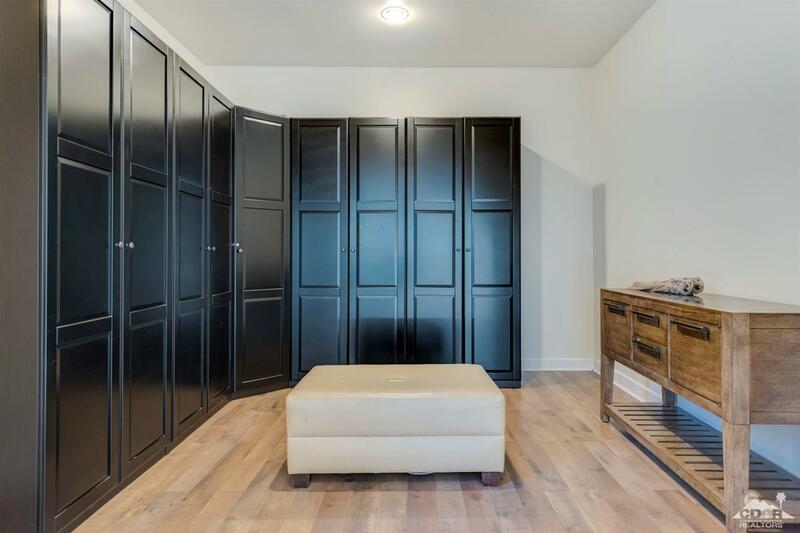 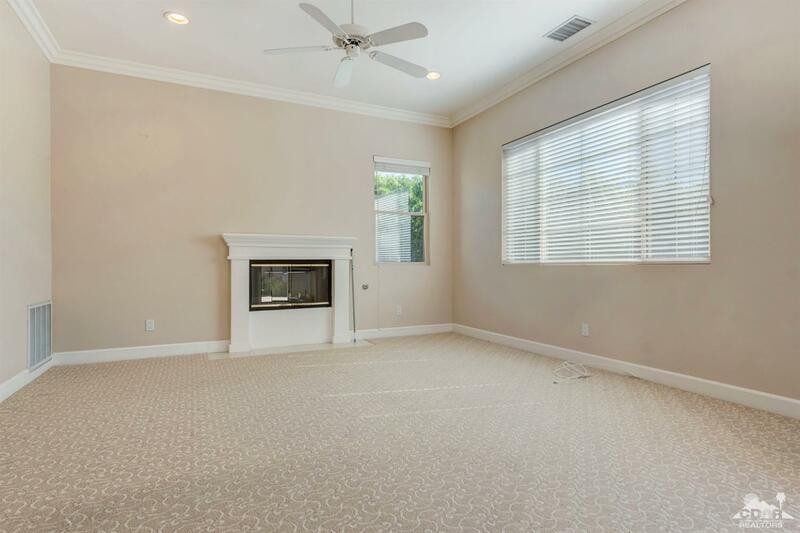 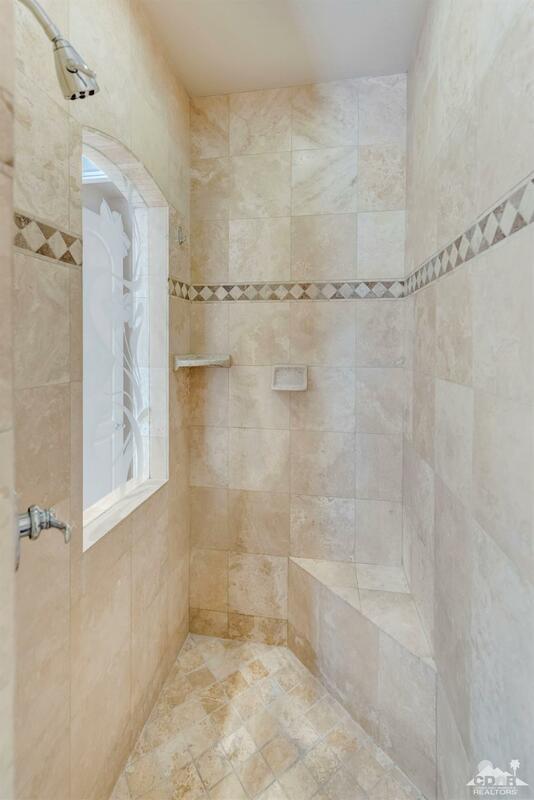 The spacious master suite has a huge closet area, luxurious master bath with travertine counters, separate tub and walk-in shower.The private and expansive back yard includes an extra-large Casita, with fireplace wet-bar and refrigerator. 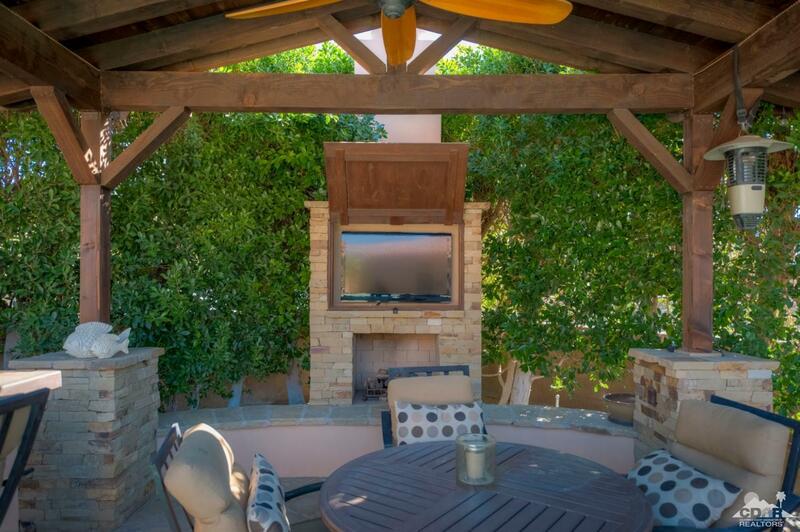 Outdoor living at the finest with sparkling pool & spa, custom Pergola with heater, lights, fan, misting system, outdoor kitchen with large bar area, fireplace with a built-in TV. This home is a true GEM!